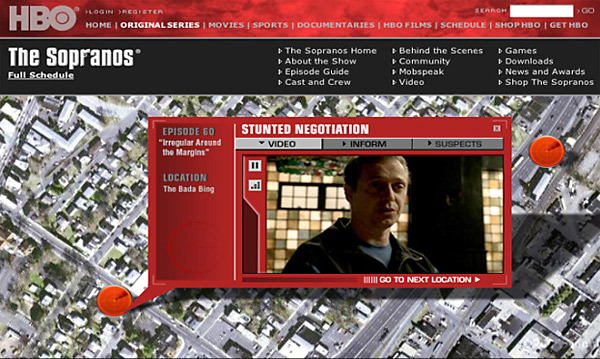 For its client, HBO, New York-based Deep Focus is using Google Maps on The Sopranos website to map locations of fictitious events that have occurred during the series to help viewers get ready for the show's March debut. It's about time! Hasn't it been like 2 years or something? HBO dropped the ball big time. Where is this at on the HBO site? FYI...this campaign will actually launch on or around 2/27.